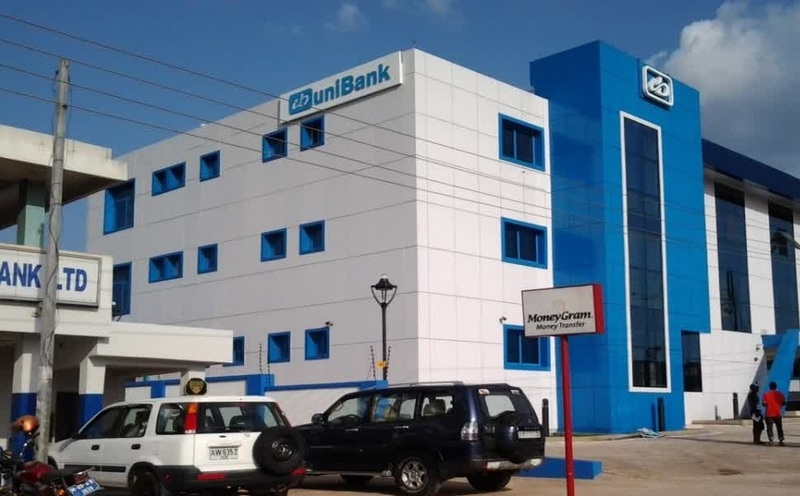 Management of uniBank has responded to assertion by Korle Bu Teaching Hospital which attempted to explain why it cancelled the onsite banking service contract with the wholly owned Ghanaian bank. The Public Relations (PR) Department of Korle Bu Hospital in a statement last Friday gave reasons why the hospital decided to award Stanbic Bank a contract for onsite banking services at the country’s leading health facility and further stated the reason why it brought the contract with uniBank to an end. However uniBank in its response noted that the hospital’s statement rather ended up misrepresenting the facts of the matter. “Even though at the time of the appointment, the Controller and Accountant General’s Department had raised certain concerns about reconciliation challenges with our collections services at two other hospitals, the fact is that these challenges were never a bar from offering the contract to uniBank as they had been addressed. The clarification follows the corruption allegations leveled against Deputy Chiefs of Staff Samuel Abu Jinapor and Francis Asenso-Boakye by musician Kwame Asare Obeng a.k.a A -Plus. The musician cited the two senior government appointees compelling the CEO of Korle-Bu Teaching Hospital, Dr Felix Anyah, to award a revenue-collection contract to uniBank after that same contract had earlier been awarded to Stanbic Bank. A Plus considered the said action by the two chiefs of staff as corrupt following which he accused them publicly causing President Akufo Addo to refer the matter to the CID for investigation. However at the end of their probe, the CID cleared the duo of any wrongdoing. Reference is made to a Press Release captioned as above by the Public Relations Unit of the Korle Bu Teaching Hospital. This press release which sought to “clarify distortions carried in sections of the media in respect of the onsite banking services in the Korle Bu Teaching Hospital” succeeded in creating more distortions than the Press Release sought to do. It is therefore important for the Management of uniBank (Ghana) Limited to state its side of the story to enable the Ghanaian public draw their own judgement. Korle Bu Teaching Hospital (KBTH) by a letter dated 13th April, 2015 signed respectively by the Director of Finance and Acting CEO invited uniBank (Ghana) Limited (uniBank) to do a presentation on onsite banking, e-payment and others. Following a successful presentation by uniBank, KBTH by letter dated 11th March, 2016 invited uniBank to provide “onsite revenue collection and electronic billing system” services at various points within the Hospital. Even though at the time of the appointment, the Controller and Accountant General’s Department had raised certain concerns about reconciliation challenges with our collections services at two other hospitals, the fact is that these challenges were never a bar from offering the contract to uniBank as they had been addressed. It must also be noted that during the bid for the contract in which Stanbic supposedly came first and uniBank came fourth, at the time Stanbic had not had any onsite banking services experience in any hospital in Ghana which meant there were no issues to pick with them. Indeed based on our track record in this service offering, uniBank has, subsequent to the agreement with KBTH, been awarded contracts to offer collection services in other hospitals across the country, based on approvals from the Controller and Accountant General’s Department. KBTH shared between uniBank and Stanbic various locations within the Hospital for revenue collection. The understanding at the time was that both uniBank and Stanbic were to provide only “onsite revenue collection and electronic billing services” software as indicated in KBTH’s letter dated 11th March, 2016. It was also the understanding that KBTH will, on its own, acquire a Hospital Management Information System (HMIS), either to be developed internally by KBTH or to be acquired from Vendors, and thereafter, the Banks will plug in their systems to continue their revenue collections services. On 3rd October, 2016, an internal assessment by KBTH of the workings of the bank’s billing and collection system indicated that the uniBank system was working perfectly well, based on which a recommendation was made to the CEO to sign an MOU with uniBank. In deed in our quest to ensure a superior service offering to KBTH uniBank invested an amount in excess GHS1.5million to lay fibre optic cables, supply PCs to be used by KBTH billing staff and erected/refurbished cubicles at the various collection points assigned uniBank. In April, 2017, Management of uniBank was surprised to learn that unknown to uniBank, KBTH had invited Stanbic to do a presentation on HMIS, following which the Polyclinic, which had already been assigned to uniBank for revenue collection services, had been assigned to Stanbic to install the HMIS software, on a pilot basis, without officially notifying uniBank in writing. It is therefore totally false for KBTH to state that they invited uniBank to do a presentation on “End-to-End Hospital Revenue Collection Software in 2015”, and we challenge the Management of KBTH to make a copy of the said letter available to the general public. Following this development, uniBank met with the Management of KBTH and enquired about the purported assignment of the Polyclinic to Stanbic to commence piloting HMIS, and registered its displeasure at this treatment. It was at this meeting that KBTH confirmed that indeed they invited Stanbic to do a presentation of HMIS based on which they had given Stanbic the go ahead to pilot at the Polyclinic. KBTH also indicated that they did not invite uniBank because they were not aware that uniBank could assist them with the software since uniBank did not present an HMIS during the initial bidding but only presented a billing and collection software. As a result of our protest to KBTH regarding uniBank’s exclusion from the bidding to offer HMIS, uniBank was subsequently invited by KBTH in an email dated 4th May, 2017 in which KBTH indicated that if uniBank was successful after the presentation, it would be assigned Obstetrics and Gynaecology Department where the HMIS could be piloted. KBTH also indicated that both uniBank and Stanbic would run their pilots concurrently for some time after which KBTH will decide on the best software to be adopted and make payment to the concerned bank and acquire the software. It is therefore not accurate as indicated in the KBTH Press Release that uniBank was invited twice in 2015 to do a presentation. KBTH also explained that irrespective of which bank’s HMIS will be settled on, both banks will still continue to provide collection services, and will be permitted to plug their revenue collection software into the selected HMIS. KBTH emphasised that based on this reason, uniBank has no reason to be worried about Stanbic running HMIS pilot at the Polyclinic, a Department assigned to uniBank for collections, since uniBank will still continue to collect in its assigned departments, including the Polyclinic. The assertion that “the Stanbic approved End-to-End Hospital Revenue Collection Software was not compatible with the uniBank’s software” is a total fabrication. In the first place, uniBank was not invited to do a presentation on HMIS with Stanbic. There was no technical assessment on the compatibility of uniBank’s collection software and Stanbic’s End-to-End Hospital Revenue Collection software (assuming KBTH had accepted Stanbic’s software). So for KBTH to assert that the two systems were not compatible was a figment of someone’s imagination. uniBank wants to put on record that by a letter dated July 12, 2017 signed by the Acting Chief Executive Officer of the Korle Bu Teaching Hospital, Dr. Felix Anyah, and addressed to the Chief Director, Ministry of Finance, KBTH indicated in paragraph F. that it had appointed Stanbic to provide banking services to KBTH by a letter dated 6th July, 2017. It is therefore totally false for KBTH to state in the last paragraph of their Press Release that “the management decision to engage Stanbic Bank as the sole institution for the onsite banking services in 2016 predated the appointment of the current Acting Chief Executive who started work in June, 2017”. So far, KBTH has not presented any evidence to show that uniBank had committed any wrong-doing or committed any breach in the performance of its obligations under the MOU. All uniBank sought to do was to be given a fair and transparent opportunity in the bidding process for the provision of on-site banking services at KBTH. As a responsible corporate citizen, uniBank has, since its inception, provided numerous corporate social responsibility services to corporate entities and individuals, including the refurbishment of the Maternity Block of the Korle Bu Teaching Hospital at a cost in excess of GHC2.0 million in 2014. As a wholly-owned Ghanaian Bank, these social intervention programmes by uniBank are borne out of our desire to support Ghanaians and Ghanaian institutions. As a Tier one bank, uniBank is committed to partnering any institution that seeks our services to ensure efficiency in their financial operations. We have always been interested in long-term relationships with our partners, including KBTH and would always engage in fair and professional practices in this regard. The Management of uniBank would like to assure the general public that its doors are open to anyone who seeks further clarification on any matter of concern, including this current issue. We, therefore, request the general public and the media to seek and stick to facts at all times.